The 13th century Hunstman is a perfect example of a traditional New Forest inn, with 14 newly refurbished en-suite bedrooms and a lovely garden. The food served is renowned for its quality, whether it’s a traditional meal or a bar snack. 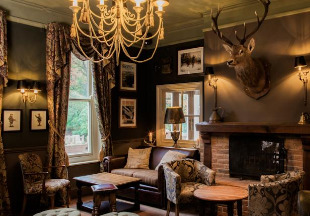 The 18th century Bell Inn Hotel is peacefully situated in the heart of the New Forest, yet is just a minute's drive from the M27. The inn mixes period features with contemporary bedrooms and enjoys an excellent reputation for food. An outstanding country house situated in picturesque Beaulieu, the 17th century Montagu Arms boasts atmospheric period features such as panelled walls and beamed ceilings. During your stay you can dine in the cosy atmosphere of Monty's bar, or enjoy the award-winning Terrace Restaurant with its Michelin Star award. 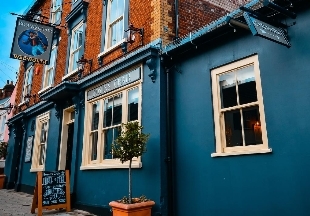 The Montagu Arms is located close to the M27, Southampton and Bournemouth airports and is a good base for discovering the South. 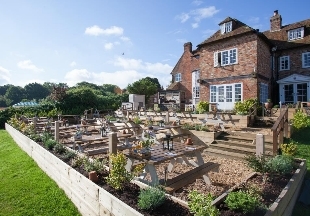 Lying in the heart of the New Forest, the White Buck Inn is situated close to the village of Burley. Set in three acres of the New Forest, with private wooded lawns and gardens, it has a play area for children, an adult only decked area and an extensive sun terrace. 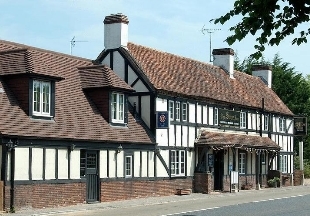 The Inn is locally renowned for its fine fresh fish, seafood and New Forest game. 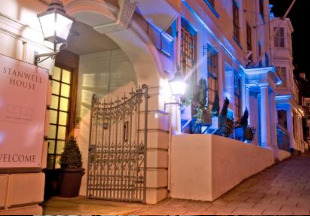 Welcome to the Stanwell House Hotel, a boutique hotel situated in the yachting centre of Lymington. Enjoy lunch on our terrace, champagne afternoon tea, dinner in the bistro or our seafood restaurant, or stay overnight in one of our seductive bedrooms. 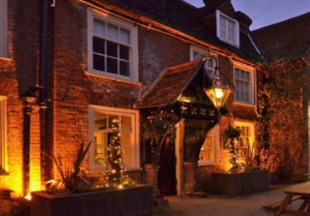 This lovely 15th century hotel is situated in Lyndhurst village at the heart of the New Forest. 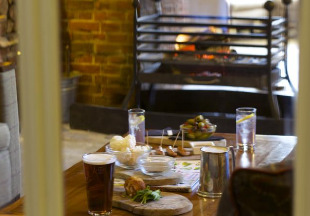 Enjoy log fires, cosy lounges, beautiful gardens, an award-winning brasserie and friendly staff. 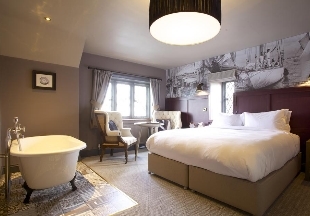 Our 50 en-suite guest rooms boast 21st century facilities within the period building. There is a large, free, on-site car park. Pets are welcome. For business travellers the M27 (junction 1) is less than 10 minutes’ drive away, and Southampton city centre is 8 miles away. The 13th century Angel and Blue Pig in the centre of Lymington has been recently refurbished to offer 12 comfortable en-suite guest rooms. Freshly cooked food is served all day in the bar, lounge and restaurant. Enjoy great food at the Stag Hotel's Italian restaurant in the heart of the New Forest. There is also a stylish bar serving bar snacks as well as real ales, wines and spirits. The hotel also offers refurbished en-suite guest rooms, free WiFi and free parking. On Lymington harbour stands The Mayflower, a coastal inn with beautiful coastal views, the warmth of a classic inn and stunning boutique bedrooms. The food at The Mayflower has been awarded an AA Rosette and uses seasonal and locally sourced ingredients. This cosy inn with all the warmth and charm of an old coaching inn but with all the modern comforts expected from today's guests stands in the market town of Ringwood on the border of The New Forest. 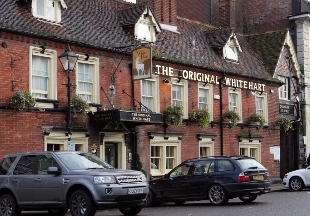 With pub classics on the menu, a friendly atmosphere and 15 en-suite bedrooms, The Original White Hart is the perfect base for holidays, business trips and short getaways. On the edge of the New Forest, The Shoe Inn has welcomed weary travellers from as early as 1420. 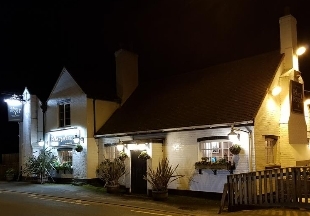 Located in the small village of Plaitford, this village inn offers a quintessential English inn experience with homemade and locally sourced food, regularly changing real ales and comfortable and welcoming bedrooms. Located just 200 yards from Lymington High Street is The Bosun's Chair, originally a coach house. This popular haunt offers a fantastic and varied menu, serves local ale and provides 5 beautifully presented en-suite bedrooms. In this ancient seaport town of Lymington is The Monkey House, one of the last free houses in the town. This classic pub with rooms offers a warm welcome, homecooked food, log fires, fantastic service and recently renovated bedrooms. 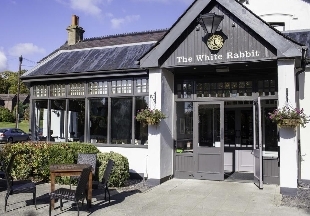 Located in Lyndhurst, known as the capital of The New Forest is The White Rabbit Hotel. A charming hotel offering freshly-prepared meals using seasonal produce, a good selection of drinks and bright and spacious bedrooms. The White Rabbit Hotel prides itself on its warm welcome. 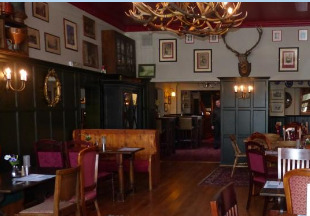 The Walhampton Arms dates back to the 1800s and has retained the history and charm of the building. 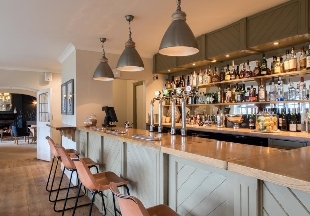 With a rustic and contemporary feel, the pub is warm and welcoming boasting hearty pub classics, a good selection of drinks (including local cask ales) and recently renovated bedrooms with a rustic style with contemporary details and comfort at the heart. 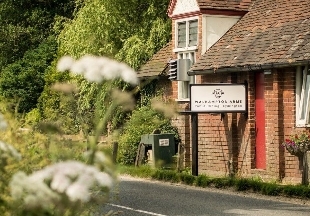 This former coaching inn surrounded by beautiful wild heathland boasts cosy and comfortable bedrooms, a sister pub next door that boasts an AA Rosette and exceptional service offering a very warm welcome. The perfect base for exploring the New Forest with many attractions on the doorstep. 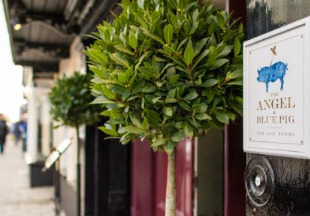 This hotel does not only offer an AA Rosette awarded restaurant and luxurious rooms but also character and charm. Located on the Beaulieu River with beautiful views from the garden terrace, The Master Builder's House Hotel boasts the award winning restaurant alongside a relaxed bar and beautiful bedrooms - and you can bring your four-legged friend too! 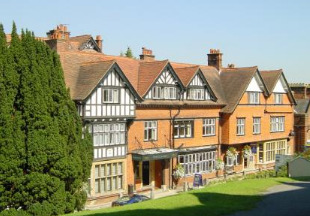 Welcome to our selection of hotels and inns in the New Forest. This ancient playground of kings is perfect for a weekend break. As well as watching the ponies roaming wild, explore the lovely small towns of Brockenhurst and Lyndhurst and the yachting centre of Lymington. The following New Forest inns and hotels are ideal for a break away; choose between gastro pubs, historic hotels and country inns. "Lymington is something of a Mecca for sailors. This yachting centre is also a pretty market town and you can catch a ferry to the Isle of Wight from here. If you're looking for something a little bit quirky in Lymington, then look no further than the Angel and Blue Pig. Originally a 13th century coaching inn, the visitor can expect a great central location, boutique style rooms and great food." The New Forest is situated in Hampshire. 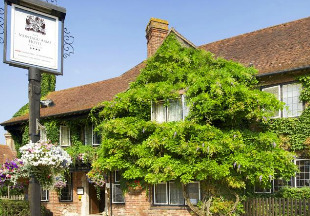 If you want to widen your search, why not browse through our selection of hotels and inns in Hampshire?